This is the cutest bouquet of flowers that I ever received. By the way congratulations to Mamonde’s New Parkson KLCC beauty counter that reflects the latest brand concept ‘Journey of Flowers’. Malaysia is the third country after Korea and Singapore to adopt this new concept. Plus you can look forward to two new Mamonde products which is the Flower Pop Eye Brick and Flower Pop Blusher. 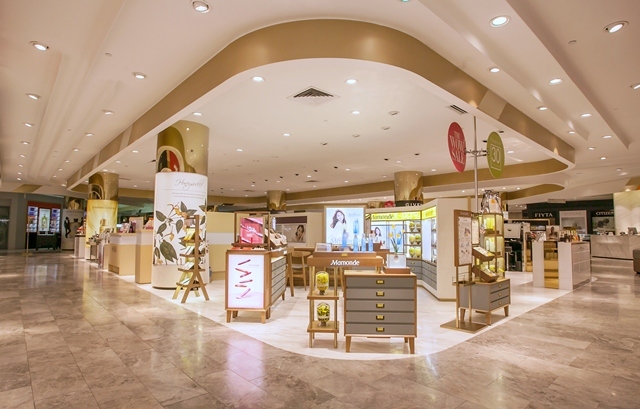 The interior design of Mamonde’s new counter at Parkson KLCC also features an illustration of Mamonde’s very own pressed-flower pattern that is created in collaboration with Rachel Pedder-Smith, an illustration painting company. As for the services offered at the counter, in addition to skin consultation, the new counter also offers 1-minute Flower Touch Hand Massage which is offered complimentary to all its customers. Mamonde is a skincare brand that mainly uses only flowers as its key ingredient coupled with other natural ingredients in its formulation. Amorepacific has invested a great deal in R&D to ensure the efficacy of Mamonde products and that these products are gentle on the skin just like the characteristics of a flower. The Mamonde Flower Pop Eye Brick is available in 5 colours, namely No.1 Golden Beige, No.2 Laura Coral, No.3 Burgundy Pansy, No.4 Pale Purple and No.5 Rosy Road. This is a multipurpose, portable eyeshadow quad that is developed using the highly blend-able formula alongside exquisite pearls and colours for easy eye makeup. 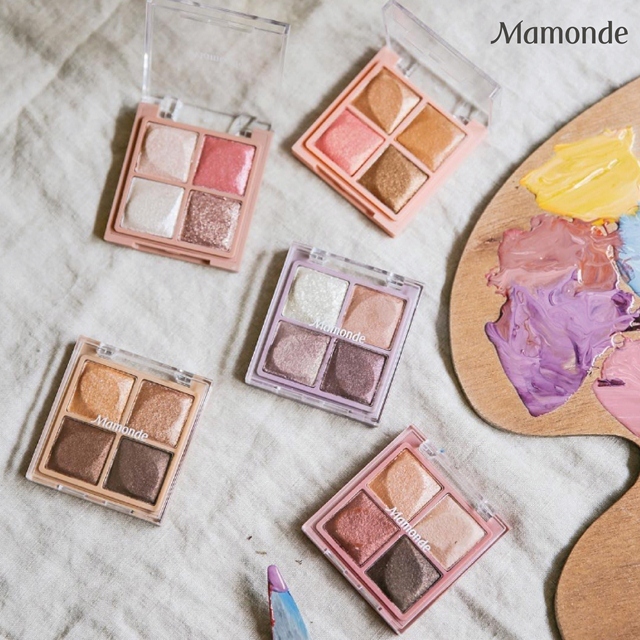 Unlike any other ordinary eyeshadow, the Mamonde Flower Pop Eye Brick comes with a smooth and moist texture that does not irritate the skin around the eyes area, nor does it leave any traces of powder upon application over the eyelids. Application over the eyelids is made easy, even for makeup beginners – with just a single touch, this fine, smooth baked powder that is combined with the highly-pigmented formula, blends evenly on the skin to give it a rich saturated colour without looking heavy and mottled on the eyes. This is so pretty, aren’t they? 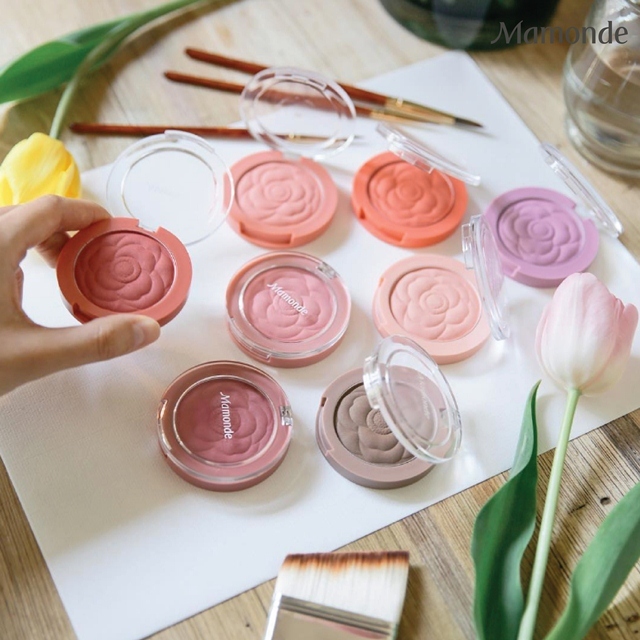 Packaged in a clear, see-through round casing, the Mamonde Flower Pop Blusher, which also comes with floral fragrances, offers customers 6 different shades of colours, namely No.1 Pansy, No.3 Daisy, No.5 Peony, No.6 Camellia, No.7 Rose Bay, No.8 Ginger. This is a newly formulated blusher that offers an array of fresh colours to brighten up your complexion. It is developed using highly pure powder materials and special grinding technology alongside an oil binder that functions to bind powder particles resulting in a clear, pure and sheer colour on the cheek. Moreover, the Mamonde Flower Pop Blusher is also formulated using the Flexible Binder System to hold powder particles in ensuring a clear and longer lasting colour on the skin surface. Contrary to other blushers, this Flower Pop Blusher contains no shimmering pearls, but it comes with a coat of camellia oil that promises a glowing complexion once applied onto the cheek.